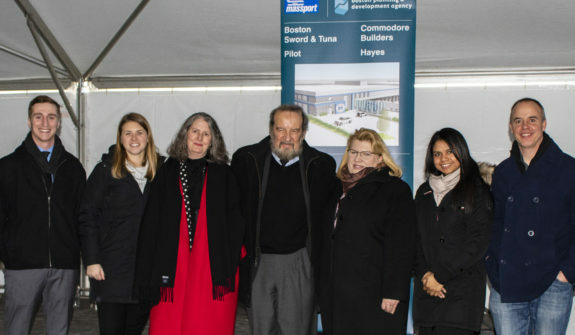 Several HSH staff recently attended the groundbreaking ceremony for the new Boston Sword and Tuna seafood processing facility in the Raymond L. Flynn Marine Park, South Boston. The facility will be the first of three buildings on a 6.5-acre parcel, known as Parcel 6, within the 26-acre Massport Marine Terminal. Parcel 6 will ultimately include another seafood company and a new mixed-use parking structure containing 466 parking spaces, an over-the-counter seafood shop, and the new International Longshoremen’s Association Union Hall. 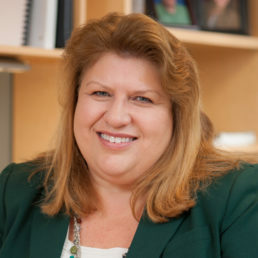 Keynote speakers at the celebration hosted by Massport’s CEO John Pranckevicius included U.S. Congressman Stephen Lynch and Boston Mayor Martin Walsh. HSH provided transportation planning and construction management services to Pilot Development Partners, the property developer of Parcel 6. Pictured from left to right are: Michael White, HSH; Kathleen Martin, HSH; Kathryn Maynes, Vice-President, Pilot Development Partners; Eden Milroy, President, Pilot Development Partners; Elizabeth Peart, HSH; Melissa Restrepo, HSH; and Robbie Burgess, HSH.